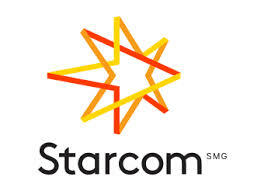 Starcom is part of the Starcom MediaVest Group (a Publicis Groupe Company), one of the world’s largest media communications groups. Starcom is a full service, fully accredited media agency, with a passionate team of communications and experience strategists, trading and investment specialists and digital experts. Our focus marries the true art with the data-driven science around our business and work we create for our client partners, which include some of New Zealand’s most successful and loved brands.